Did you know the Netherlands has territory that lies just 30 km off the coast of Venezuela? Indeed, several islands that are part of the Kingdom of the Netherlands sit in the Caribbean Sea very close to the north coast of Venezuela. These islands are part of the Antilles archipelago, and three of them make up the ABC Islands. 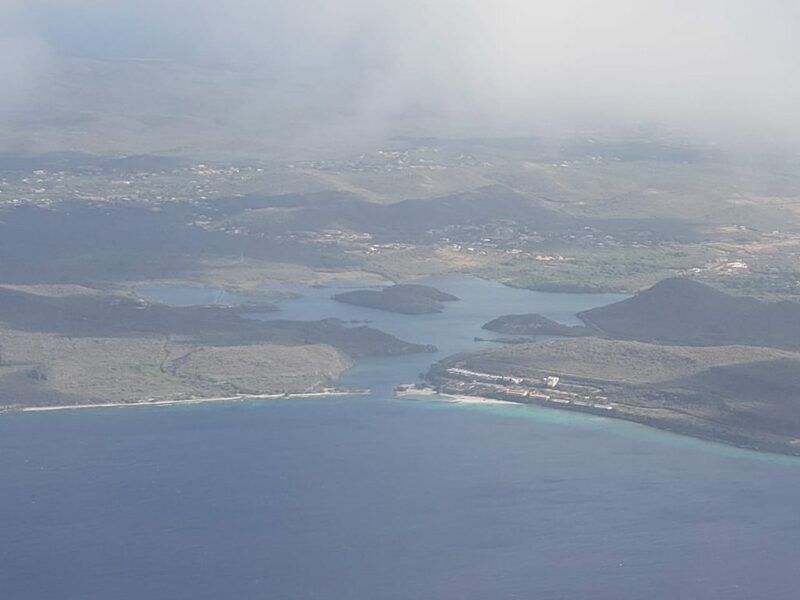 Just days before venturing down into Caracas and visiting an island paradise that is part of Venezuela, I visited “A” and “C” of the Dutch ABC Islands. I started with “C”, which stands for Curacao, and then hopped over to “A” for Aruba, while skipping “B” for Bonaire. Both islands I visited are constituent countries, meaning they are autonomous, self-governing states. Bonaire, on the other hand, is a territory administered by the Netherlands. Curacao and Bonaire used to be part of a constituent country called the Netherlands Antilles, but that dissolved in 2010, and we don’t need to get into that. You might find it interesting, though, that all three of these ABC islands have populations that largely speak the creole language of Papiamento, which is predominantly based on Portuguese and Spanish with considerable Dutch influence. The language is similar to what is spoken off the west coast of Africa in Cape Verde, an island nation I visited on the Nomad Cruise. I was due to fly into Curacao from Panama. The night before my flight I was out late at a Panama City rooftop bar with a client and a friend. I woke up late with no chance to catch my flight. After my oversleeping accident, I found a new flight to Curacao with a 10-hour layover in Bogota, Colombia. While still in Panama, I indulged in one more lunch at my favorite Panamanian steakhouse and then headed to the airport. 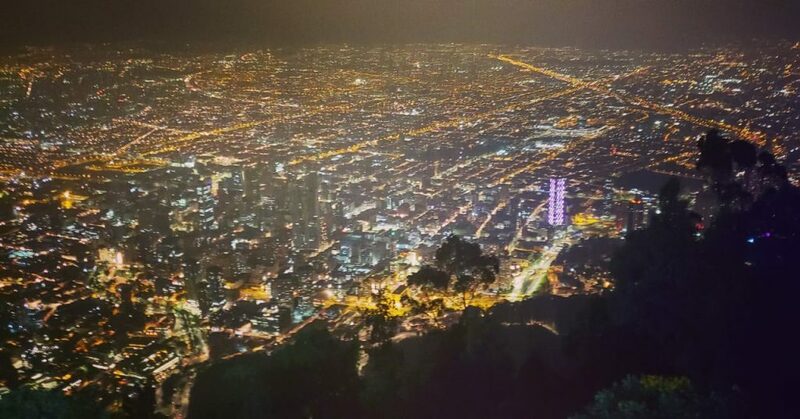 In Bogota, I checked into my hotel, then immediately headed up Monserrate, which is named after the Montserrat you may remember from my pre-Nomad Cruise Catalonia trip. Monserrate in Colombia (slightly different spelling) is a huge hill in the center of Bogota that has a church at the summit, as well as restaurants and other tourist attractions. 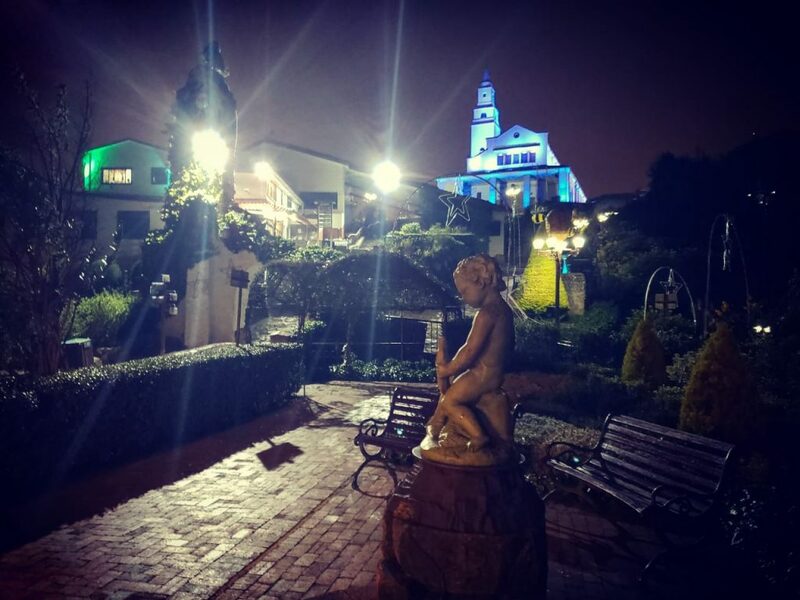 I had a fancy fried rabbit dinner on Monserrate and enjoyed beautiful nighttime views of Bogota and its surroundings, which combined have a population of about 15 million people. Though the view was beautiful, I was a bit out of place. I thought I was going to spend the day sitting on the beach sipping cocktails. Instead I found myself coping with altitude sickness at 3,150 m above sea level and high above the Colombian capital. Dealing with fatigue, as well as altitude sickness, I didn’t linger in this lovely location. I salvaged four hours of sleep, awoke early in the morning and this time caught my flight to Curacao. A German friend of mine named Holger lives in Curacao. Holger picked me up at the airport, sparing me a pricey taxi ride into town. 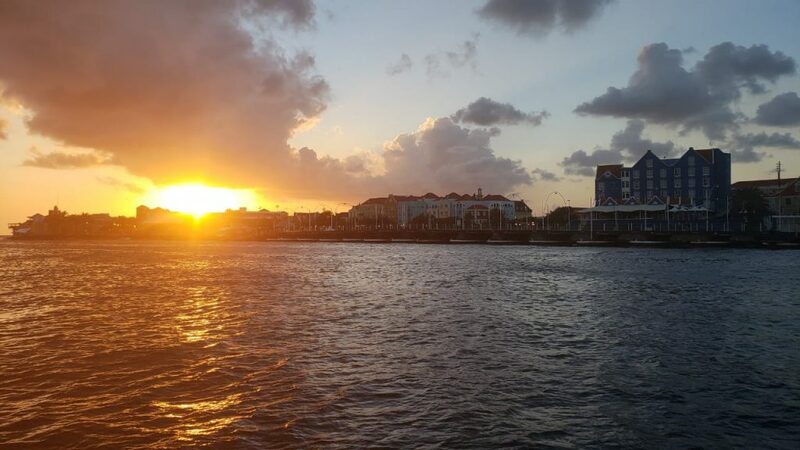 I checked into my hotel in Willemstad, the capital of Curacao. 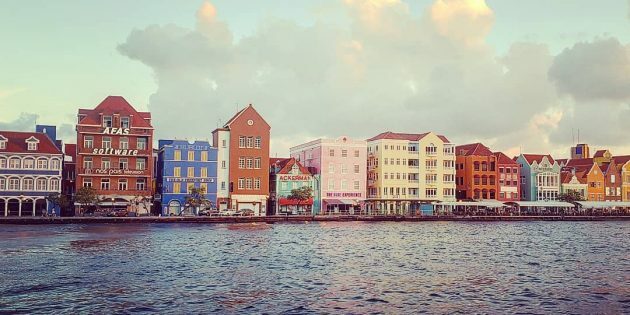 After a nap, I ventured out to explore the Willemstad old town, which is famous for a waterfront promenade lined with colorful houses. 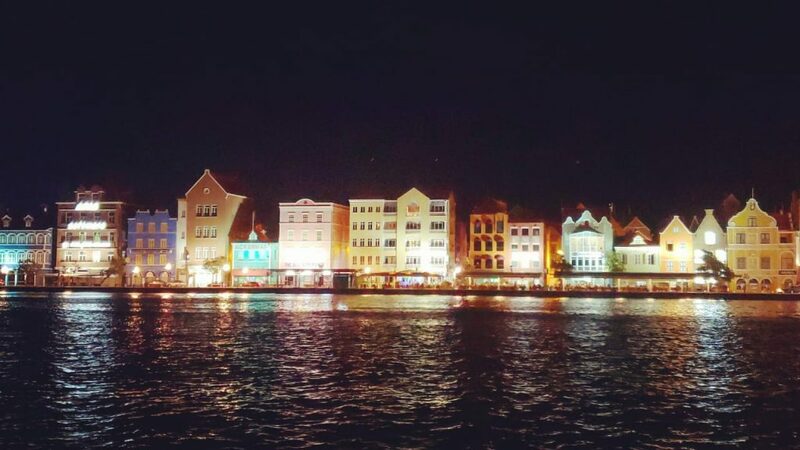 Punda is the more famous side because it has the waterfront promenade for which Curacao is known. The street Handelskade is lined with colonial houses and buildings built in Dutch style with some other European architectural influences. But the buildings are painted Caribbean colors that consist of beautiful pastel shades. 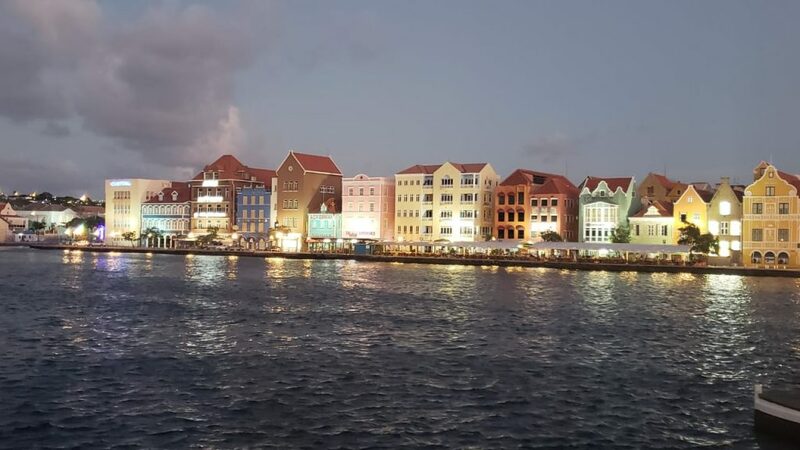 The story goes that the governor of Curacao was getting headaches and was told by his doctor that they might be caused by sunlight reflecting off of white houses. So the governor ordered citizens to paint their houses different colors, and the homes remain colorful to this day. There are actually colorful buildings on both sides of the bay — in Punda and Otrobanda. 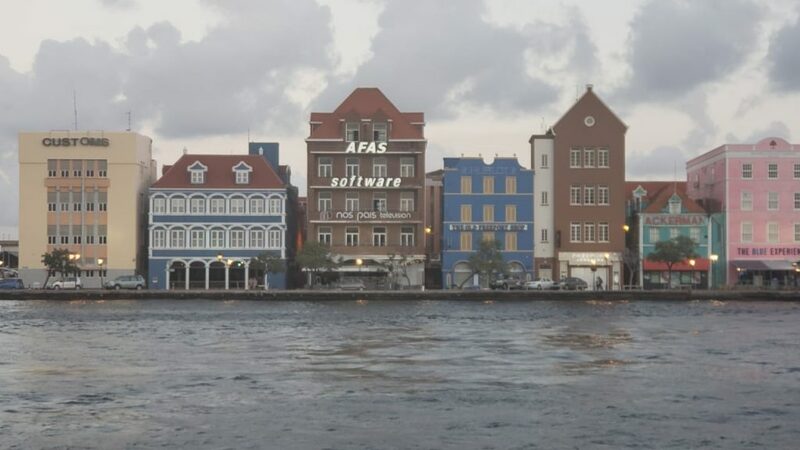 But the buildings on Handelskade stand out the most and likewise appear on most of the postcards and images of Curacao that are circulating in cyberspace. 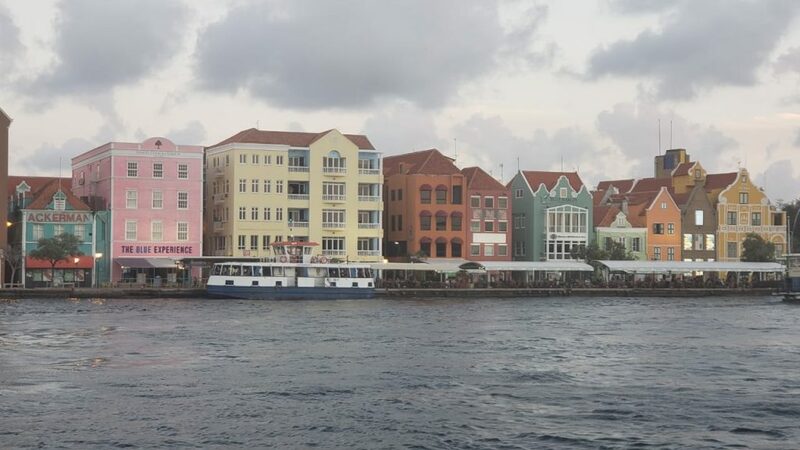 The Queen Emma Bridge also sticks out in the Willemstad old town. The Queen Emma is a pedestrian bridge that connects Punda to Otrobanda. It is a long pontoon bridge standing on a bunch of pontoons in the bay. As ships come into the bay throughout the day, the bridge opens up — though not in classic drawbridge fashion. Rather than rising up in the air, the Queen Emma Bridge swings open on a hinge like a door. Where did the Queen Emma Bridge go?? You can actually stand or walk on the bridge as it is moving, which makes for some good fun. I jumped at the chance to do so… but missed my chance. As I was approaching the bridge and was just 20 meters away, sirens sounded and the bridge started to move. The bridge swings for periods of up to about 45 minutes as ships pass. 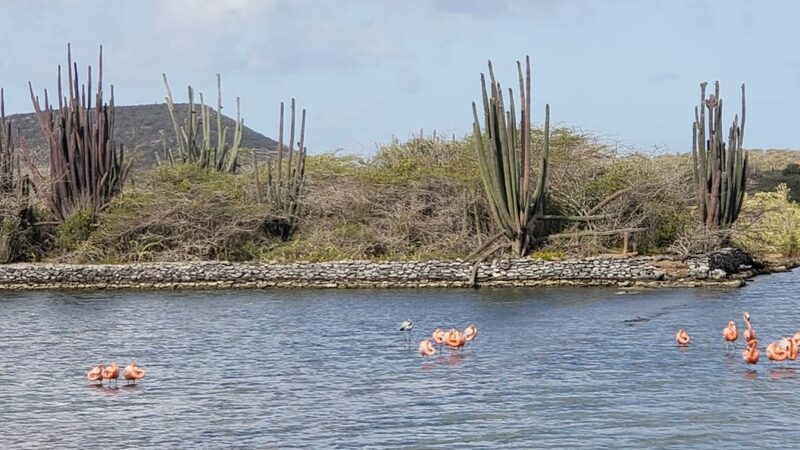 Willemstad actually has a natural deep water harbor. 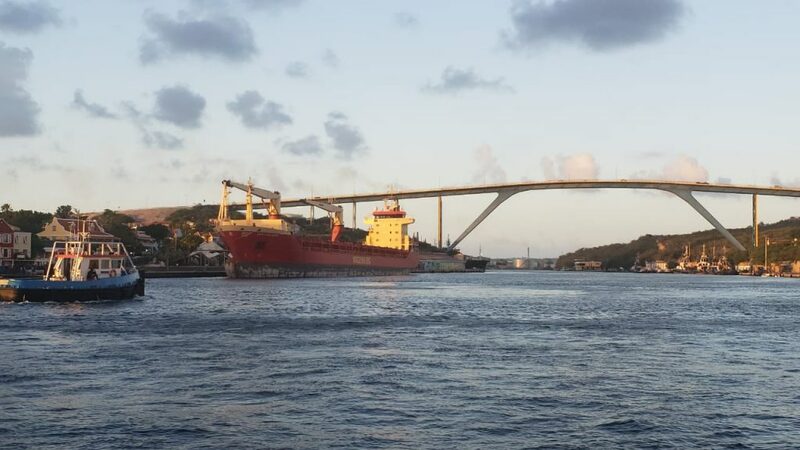 The harbor is one of the largest oil handling ports in the Caribbean and it attracts some huge tankers. 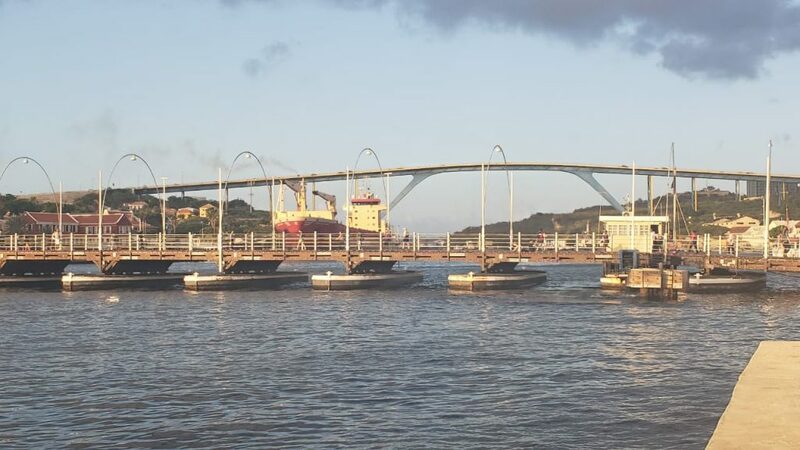 When smaller boats enter the harbor, the bridge takes less time to swing open and closed. Unable to cross the bridge, I had to take the free ferry to other side of the bay. Over in Otrobanda, I checked out the cruise terminal, as well as some bars and restaurants. With the bridge again accessible, I crossed it and returned to Punda, where I enjoyed a nice dinner on Handelskade and got to see the sunset. I opted not to check out the Willemstad nightlife and instead get some much needed rest. The next day I traveled all around Curacao courtesy of Holger, who along with a couple friends, gave me a tour of the island. They took me to me nice beaches, one of which was a place where I went snorkeling with turtles. 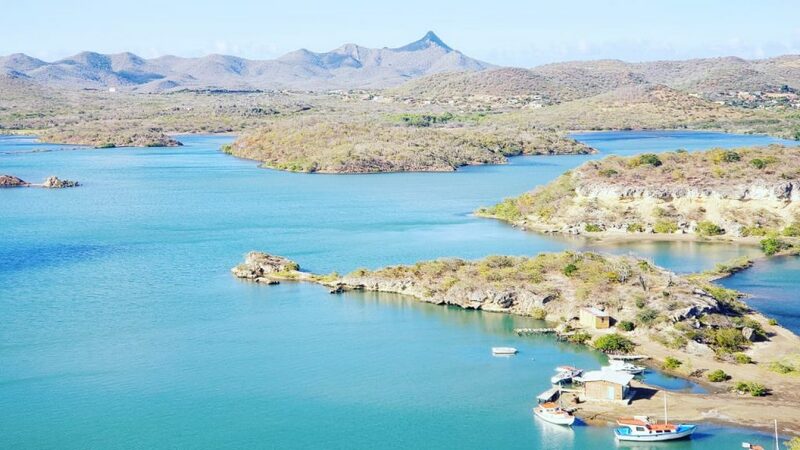 We also visited the flamingos at the Sint Willibrordus flamingo sanctuary and got a view of the Santa Martha Bay from one of the highest hills in Curacao. After getting a look at some more beaches, including a postcard beach or two, I returned to my hotel and again went to bed early. I was still essentially getting over my hangover from the last night out in Panama. This was the day I would island hop from “C” to “A” — Curacao to Aruba. This time I did not have early morning flight, or so I thought. The problem was certainly not oversleeping after a night out on the town. Thinking I had some time to kill before my flight to Aruba, I took a consulting call and then walked around Willemstad for about 45 minutes, exploring Bambo Beach Boulevard, which is basically an outdoor mall next to the sea. I ate at a Lebanese restaurant there. After lunch, I took a taxi to the airport. Upon arrival, I realized my flight had already left. The departure time changed, and no one notified me. The flight took off two hours earlier than I thought it would. I had checked the flight time four days prior, and at that point, it was still listed at the original time. Unfortunately, there was no alternative flight to Aruba that day. Disappointed, I got back in a taxi and headed to a hotel in Otrobanda. By the way, the taxi costs $40 one way to and from the airport in Curacao. So I spent one more night in Curacao. Being in Otrobanda afforded me the opportunity to see Handelskade at night from across the bay. It was somewhat decent consolation for my missed flight. 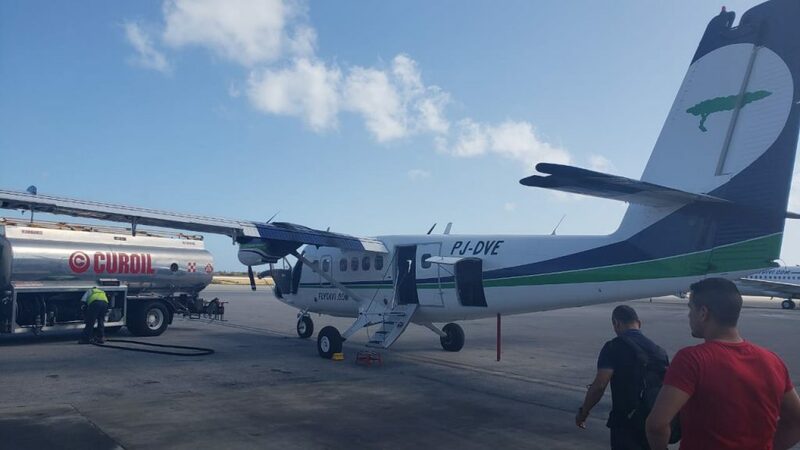 The next day I hopped on a small turboprop plane that seated 10 or 12 people and finally took off on the 30-minute flight to Aruba. 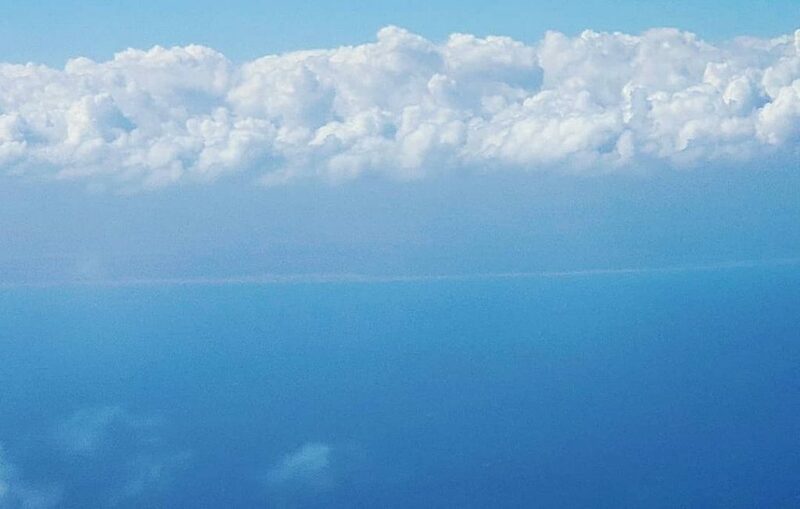 I was perfectly positioned on the left side of the plane, which allowed me to see the Venezuelan coast. 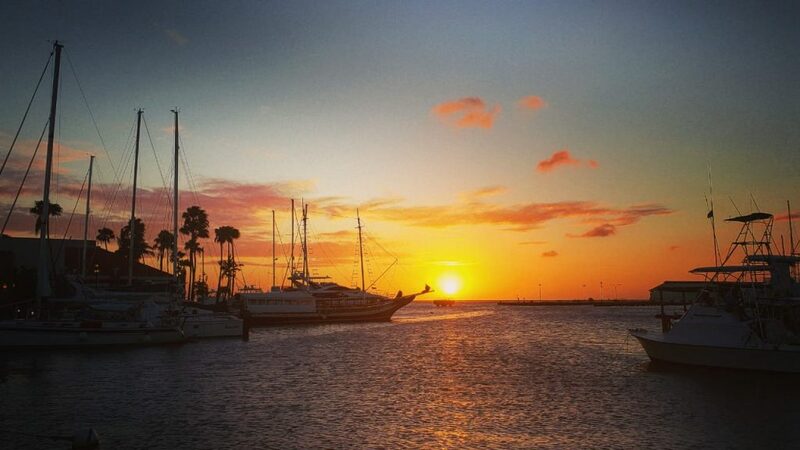 Aruba, FYI, is the ABC island that is just 30 km away from Venezuela. In Aruba I rented a car, which also turned into a mini fiasco. I had rented the car in advance, but when I arrived at the rental counter, I was told that I had not booked a vehicle. In the end, I got the car and just had to pay $20 extra. By this point, though, it became clear that some things just don’t work in the Dutch Caribbean. I drove all around the island, which is basically a floating desert with a lot of cacti and beautiful beaches. 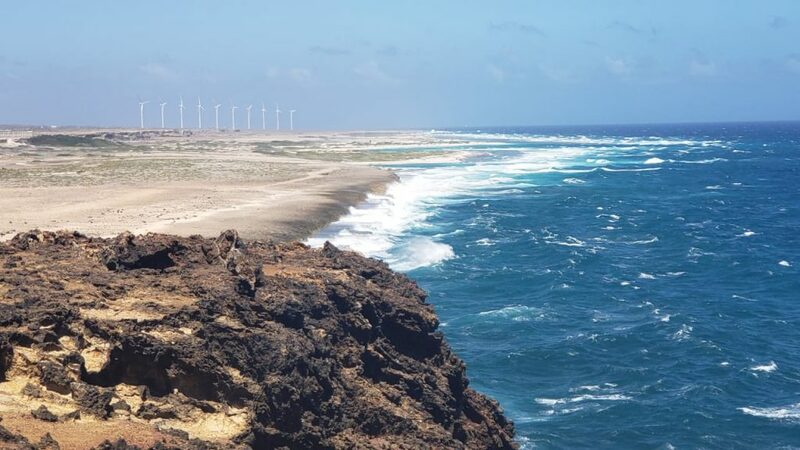 Aruba has a very arid climate like Cape Verde, which is also basically a floating desert. 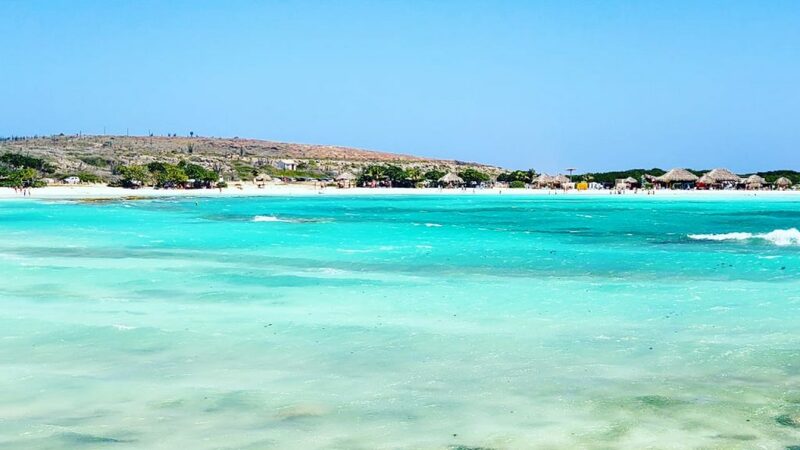 This combination, particularly the beaches, makes Aruba a tourist magnet. I headed to a lighthouse at the very south of the island and to a lighthouse at the very north of the island and took the many roads in between to visit lots of beaches. Two of the nicer beaches I visited were Baby Beach and Boca Prins, the latter being a more secluded spot tucked away between cliffs and sand dunes. 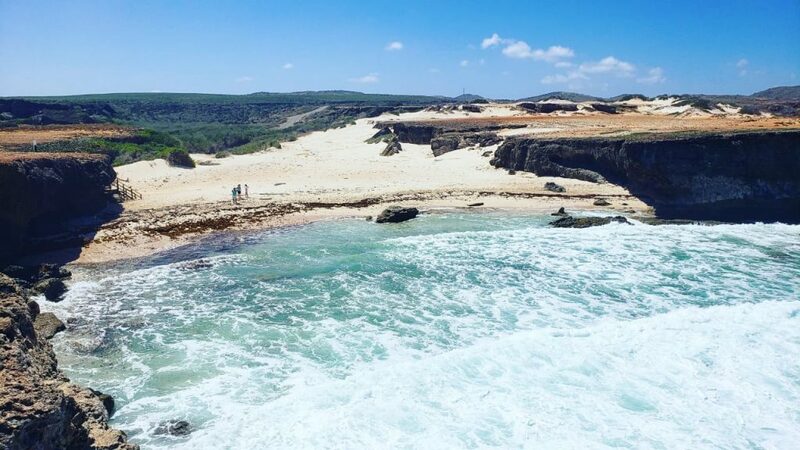 The remains of old gold mines and mills can be found along the coast inside Aruba’s Arikok National Park. 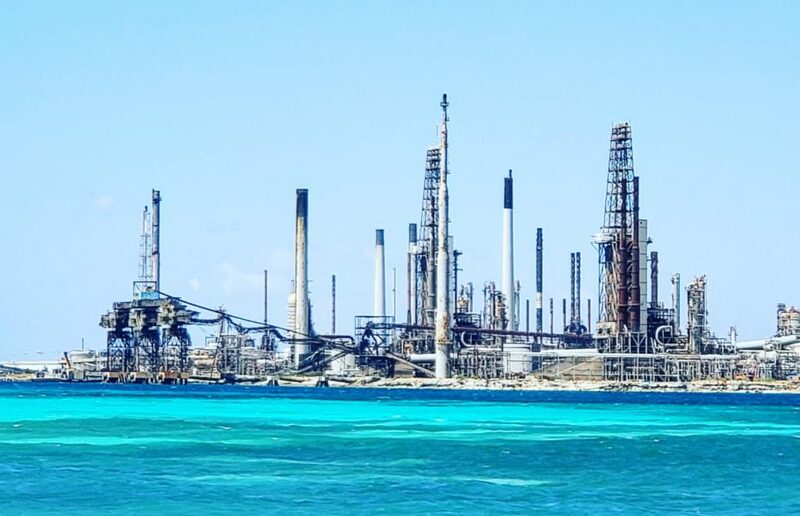 More recently, Aruba has relied economically on petroleum refining. I visited a refinery for Venezuelan oil. The refinery is pretty inactive at the moment due to U.S. sanctions on Venezuela. 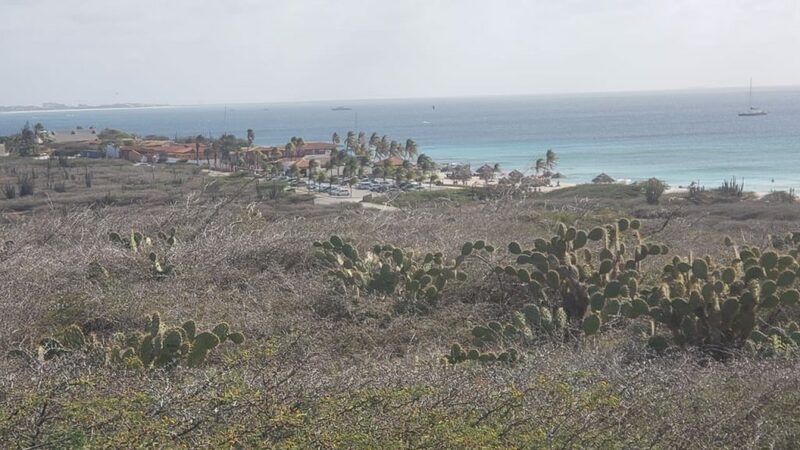 Currently, Aruba’s economy is heavily reliant on tourism and aloe vera production. 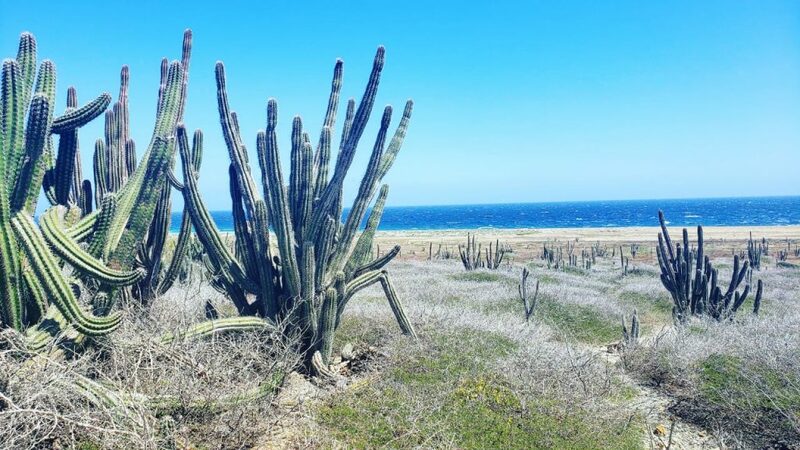 Aruba’s dry climate and soil enable aloe plants to grow well. 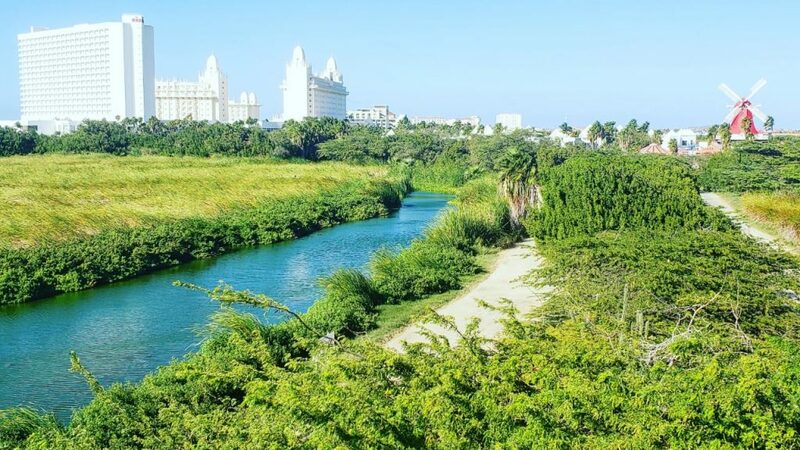 Aruba has become a world leader in aloe vera exports, and the island has its own line of aloe products. 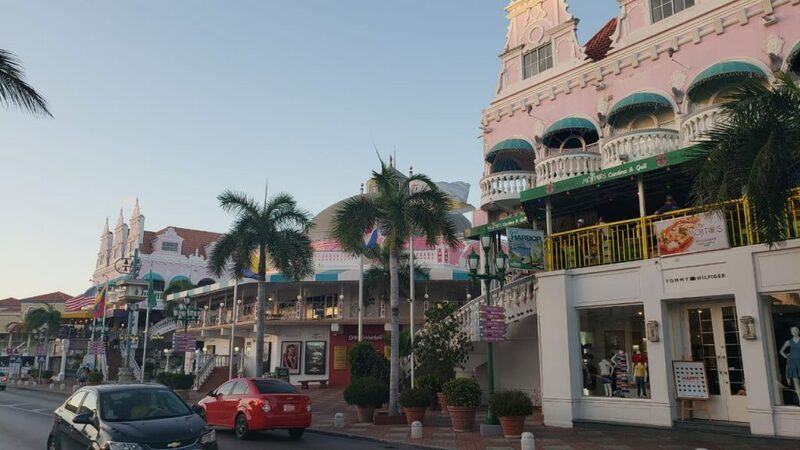 Like Willemstad in Curacao, Aruba’s capital Oranjestad has some colorful Dutch colonial architecture. 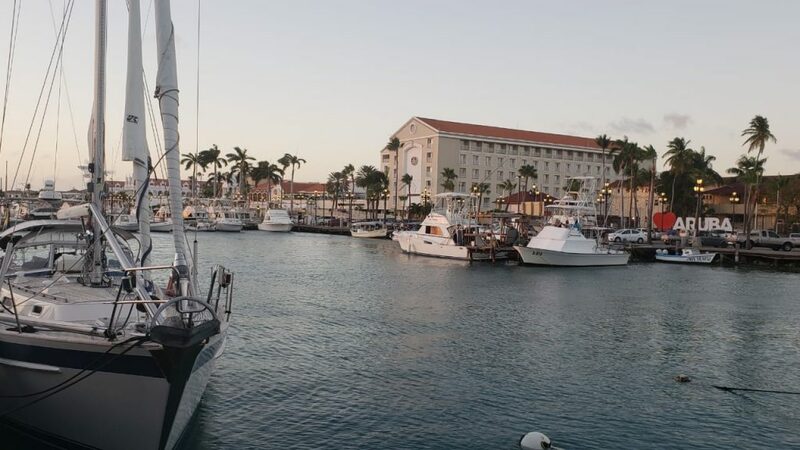 I spent an evening walking around town in Oranjestad. My general impression is that Aruba is much more Americanized than Curacao. I also noticed there is a considerable amount of Spanish spoken in Aruba. 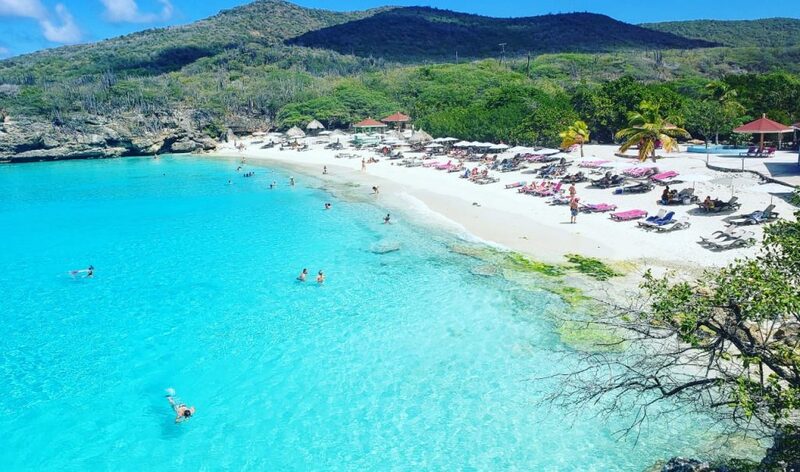 I think that is because the island has many more Colombians and Venezuelans than Curacao. I laughed it off and found out I could still fly the same day on the same route for $150 extra. Sometimes that is just the cost of being a perpetual traveler. Satisfied with my visit to Dutch islands C and A, I boarded a plane and returned to Colombia, where I had to convince my lone brave Venezuela travel partner into not chickening out of the journey like everyone else. He visited Venezuela with me and survived.